From Winter Wonderland (1) to the Ebony Awakening African Americam Achievement Awards (2 - Marva Denard, 2003 recipient, right) to year-round “Storytellers” performances (3) to Easter Egg hunts each spring (4), Clearwater Community Volunteers speak hope and happiness for the city and its people. Having just completed a successful “Fashions with Flair” fashion show, and now mid preparations for this holiday season’s Winter Wonderland, Sigal also has a hand in coordinating future events for the Main Street Promotions Committee. Additionally, Sigal is an elected member of Clearwater’s Downtown Development Board, a member of the Jazz Holiday Board and a full-time executive of Monitor Fund Advisors. And she sings, too, regularly performing in and around Pinellas County. Like the volunteers of other churches and organizations who offer succor in times of disaster or a kind word to a sad or lonely person, Sigal takes her mission as a Scientology volunteer very seriously. Among the more hard-working and dedicated is Craig Burton, the Chief Operating Officer of Clearwater-based Agent Media Corporation and Clearwater resident of 10 years. He told Freedom that his CCV volunteering started by helping out on a small basis at first, for Winter Wonderland. 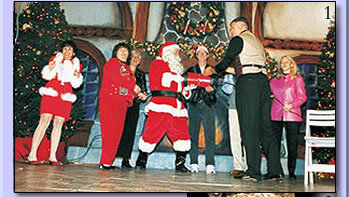 However, as he received more training in Scientology, he saw that he could do more for his community. “I was listening to a taped lecture by Mr. Hubbard [the Founder of Scientology] on the subject of responsibility, and I realized that I needed to do more than just work to improve myself and my family. I needed to become more involved in the community,” he explained. And, she adds, you need not be a Scientologist to volunteer — in fact volunteers of many faiths participate in the group’s events. 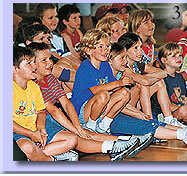 If you are interested in teaming up with the Clearwater Community Volunteers, call Joanie Sigal at (727) 298-5406. And that's why so many millions of people from all walks of life in more than 129 countries are Scientologists today. 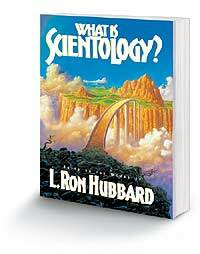 You can obtain your own copy of the encyclopedic reference work, What is Scientology? , either hardback or softcover, at your local Church of Scientology or write to, Public Affairs Director, Church of Scientology, 503 Cleveland Street, Clearwater, FL 33755.